Her, shes the one!. . 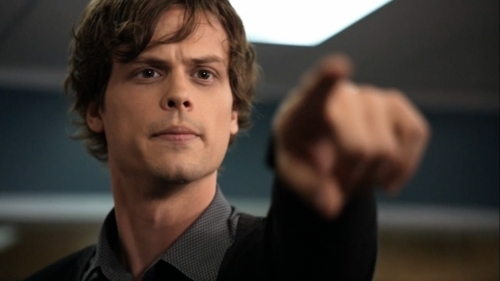 Wallpaper and background images in the Dr. Spencer Reid club tagged: criminal minds dr: spencer reid haircut. This was Season 5 episode 21. The case was in Boise, Idaho. WHAT IS HE POINTING AT? ?